If you have been reading my blog for a while you must know that I have a ton of hair on my head. If you notice, I have my hair in a bun a lot of times and that's because my hair is WORK and these days I don't have the patience for it. Kérastase sort of entered my life at the perfect moment, it was meant to be. 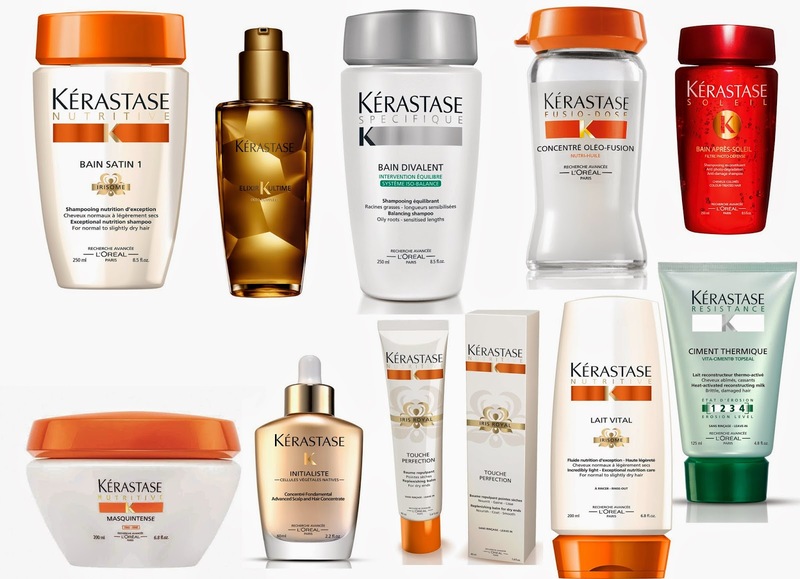 Kérastase offers a wide range of hair products for all hair types and let's not lie, it is a bit expensive but once in a while it's worth it. I fell upon the Kérastase Oléo-Curl range a couple of weeks ago and it changed the texture of my hair. I had used this line a couple of years ago but was always to lazy to go to the salon to purchase them, now, they are more accessible. The Kérastase Oléo-Curl line really tamed my locks and created gorgeous curls that are not filled with frizz, my hair feels so soft and manageable. After washing my hair with the Kérastase Oléo-Curl Shampoo and applying the Kérastase Oléo-Curl Intensif Mask, I add a pea-size of the Kérastase Curl definition Cream and I air dry my air. In the morning, I will pass a flatiron on really wild sections of my hair and I'm ready. This year Kérastase is celebrating it's 50 years of the brand, here are the top 10 cult products from Kérastase. You should definitely treat yourself and try out the Kérastase brand, your hair will thank you for it! AMAZZZING products!!! LOVE how amazing they make my hair feel!